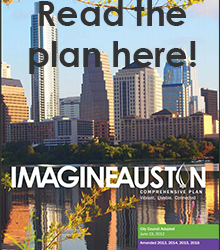 For additional information about this priority program, see page 191 of Imagine Austin, or contact the Planning and Zoning Department liaison. The Sustainably Manage our Water Resources Priority Program team has coordinated on numerous water resource management efforts from the local to regional scale. The work of this priority program has supported efforts to respond to challenges posed by a changing climate, major flooding, drought, population growth, and other factors that require adaptation and increased planning and coordination. Through the recent historic drought (2008-16), Austin has responded to a wide-range of complex water management challenges. Coming together as a team during this time has strengthened communication and coordination between Austin Water, Watershed Protection, and other partner departments.